Welcome to Divine Savior Academy’s High School! Choosing the right high school is a difficult decision for any parent to make. For many parents, the high school years can be some of the most stressful years of parenthood. These four years of school will help direct who your child will become as an adult. Additionally, during the high school years, students make the all-important decision of where to attend college and what career to pursue, all while navigating their teenage years. Divine Savior’s high school program is based on our mission to not only give students a challenging, college-preparatory curriculum, but also a Christian environment in which to thrive. This will all be led by caring and supportive Christian teachers who are genuinely invested in your son’s or daughter’s well-being as a student and as a child of God. From the moment you drop your son or daughter off for the first day of freshmen year, I want you to be confident that our educational professionals truly care about the spiritual, academic, social, emotional, and physical well-being of your child. My goal is that all of the high school students at Divine Savior Academy are provided the best secondary education available and that this education is given in a Christian environment. When your child graduates from Divine Savior, you can be sure that he or she will be prepared to move on to the next phase of his or her life with confidence and success. I look forward to working alongside of you as we prepare your child for the college or career of their choice. Divine Savior offers a comprehensive and varied curriculum to prepare students for the rigors of college and the workplace. All subjects are taught from a Christian perspective to educate the whole child: academically, socially, emotionally, physically, and spiritually. Divine Savior’s rich curriculum is designed with flexibility to meet the needs of each student as it fosters exploration, critical thinking, problem solving, and sound study habits. As a community of learners, students are given opportunities to collaborate and explore. The ultimate goal is to cultivate and maximize each student’s unique talents and abilities so that he or she will be well-equipped to serve as a valuable member of today’s society. 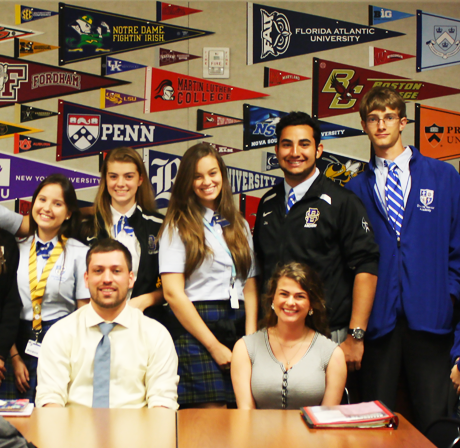 In high school, our college-prep curriculum offers honors and Advanced Placement (AP) courses. 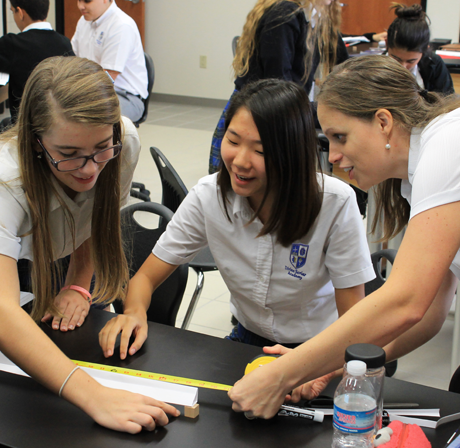 DSA also offers Project Lead the Way, a nationally-recognized Science, Technology, Engineering, and Mathematics program (STEM). Our curriculum encourages all students to realize their individual goals and motivates them to use their God-given abilities. 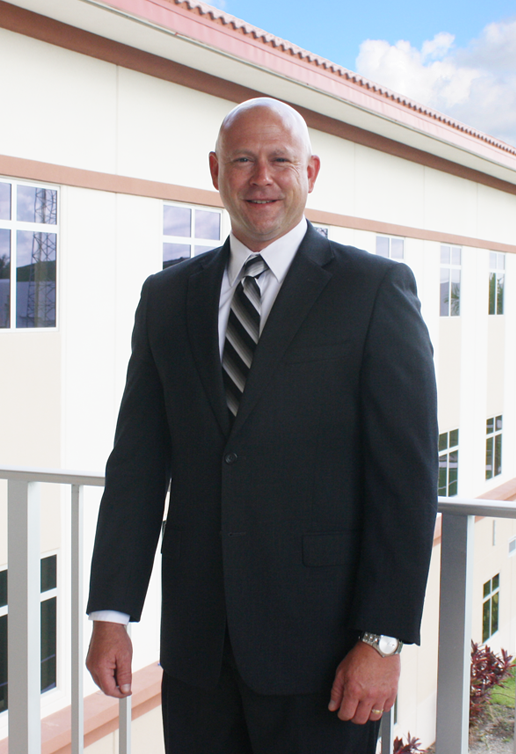 Divine Savior graduates exceed the Florida Statutes Accelerated High School Graduation Requirements. 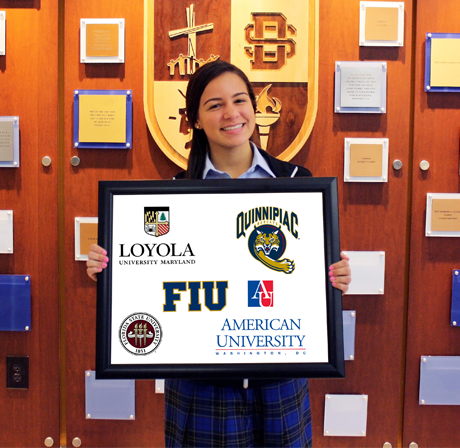 Divine Savior offers the nationally-recognized Advanced Placement program (AP). Advanced Placement courses are modeled after college-courses and are taught by specifically trained teachers. At the conclusion of an AP class, students who successfully pass an AP exam may qualify for college credit or advanced placement at the college level. Project Lead the Way is the nation’s leading provider of Science, Technology, Engineering, and Mathematics (STEM) programs. This challenging STEM curriculum is project-based to encourage critical thinking, problem solving, and collaboration while engaging learners in exciting and relevant content. 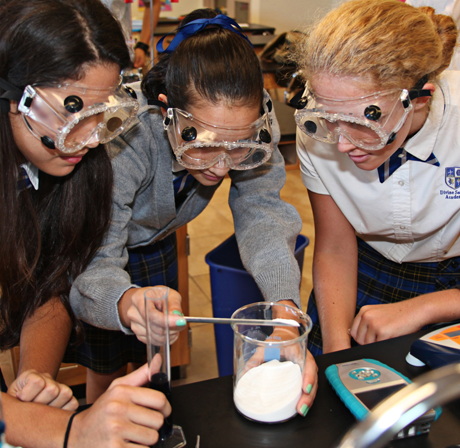 STEM classes are taught in DSA’s state-of-the-art STEM lab. For a complete listing of our high school courses, read our High School Course Catalog. Divine Savior Academy is a place where the Bible serves as the framework for guidance and truth. It is a place where a love for God and His Word are instilled and nurtured in our precious children. It is a place to learn Bible stories and apply them to everyday life. DSA is a place where children grow in their relationship with the Lord on their journey toward Christian maturity. Divine Savior Academy is supported by Divine Savior Church which serves families with Bible classes, family counseling, and worship services in a loving, supportive community. Learn more at www.DivineSaviorChurch.com. Divine Savior’s teachers care about our students and their families. They partner with you to provide your children with one-on-one attention to cultivate their unique talents and abilities. At Divine Savior, our teachers tailor their instruction to challenge each student, not a class average, by encouraging, engaging, and motivating students to use their unite abilities and talents. The faculty also focuses on educating the whole child: spiritually, socially, emotionally, physically, and academically. 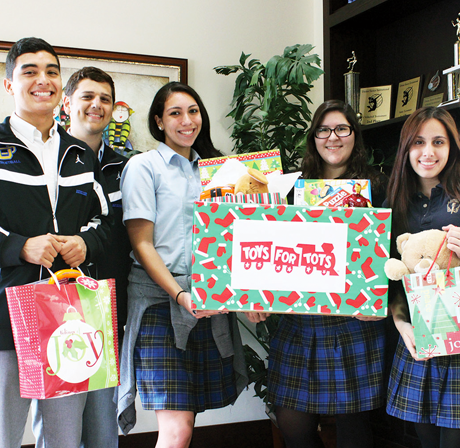 Divine Savior students express love for their Savior through acts of service, not only within the walls of DSA, but also within the community of Doral, the city of Miami, and beyond. With the motto of “Learning to Lead, Learning to Serve,” DSA’s Student Council is an active group of students who learn not only to lead their fellow students, but to serve others in our own hallways and in our communities. 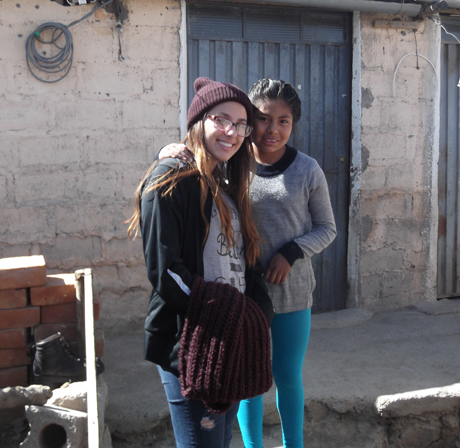 Each summer, our students have the opportunity to take a mission trip. 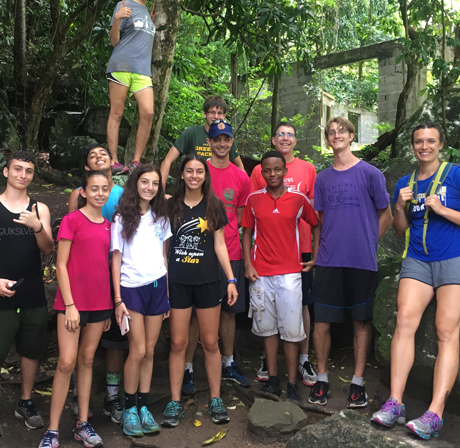 Past trips include repairing a school in Antigua, providing translation services in Peru, and painting community murals in St. Lucia. 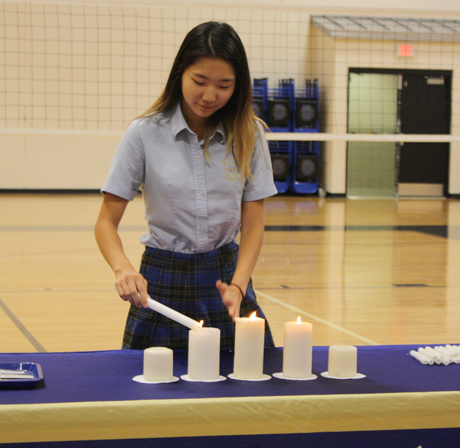 National Honor Society (NHS) is a national organization that recognizes outstanding high school students who have demonstrated leadership and excellence in the areas of scholarship, service, and character. 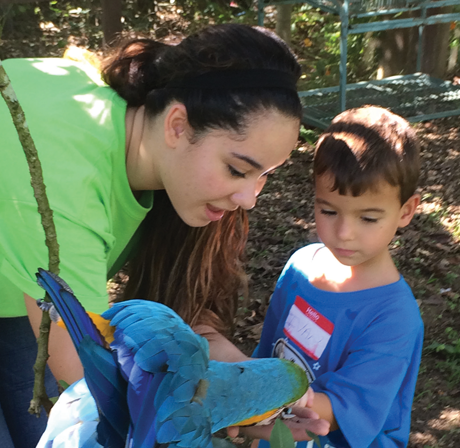 Volunteering is a part of every student’s high school experience at Divine Savior Academy. Eighty hours of service are required over the course of a student’s high school career to meet graduation requirements. 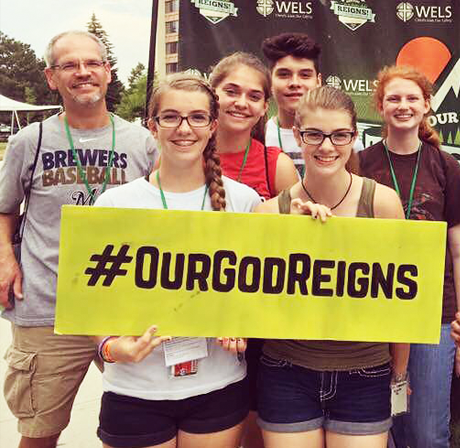 Every summer, our students have the opportunity to be encouraged in their faith in a fun atmosphere by attending youth rallies, regional and national events that are open to students attending high school. Each week our students attend a chapel service. All offerings collected during chapel are donated to annual mission projects. Past offerings have funded a school in Africa and an orphanage in Haiti. 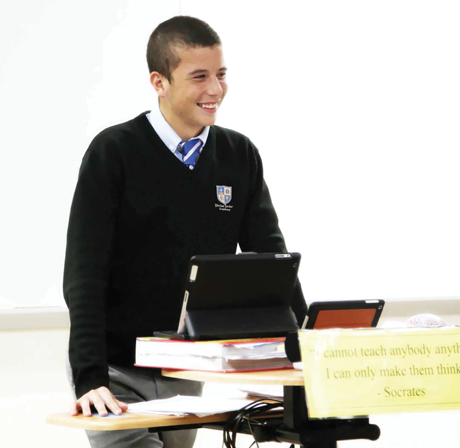 At Divine Savior Academy, technology plays an important role in the classroom learning environment. Our 1:1 iPad program and our campus-wide WiFi connect our students to valuable online resources in every class. Intentional integrations throughout the curriculum foster communication, collaboration, critical thinking, and creativity, 21st-century skills necessary for college and career readiness. Our faculty combines technology with learning assessments, allowing students flexibility and originality as they demonstrate their knowledge. While our 1:1 iPad program puts a device in the hands of every student, Divine Savior Academy also provides other opportunities for students to regularly interact using technology. Each classroom is equipped with a digital display or projector, capable of displaying content from any device. Our robust network is set-up to provide students with a safe learning space, while offering access to a multitude of tools for research and innovation. 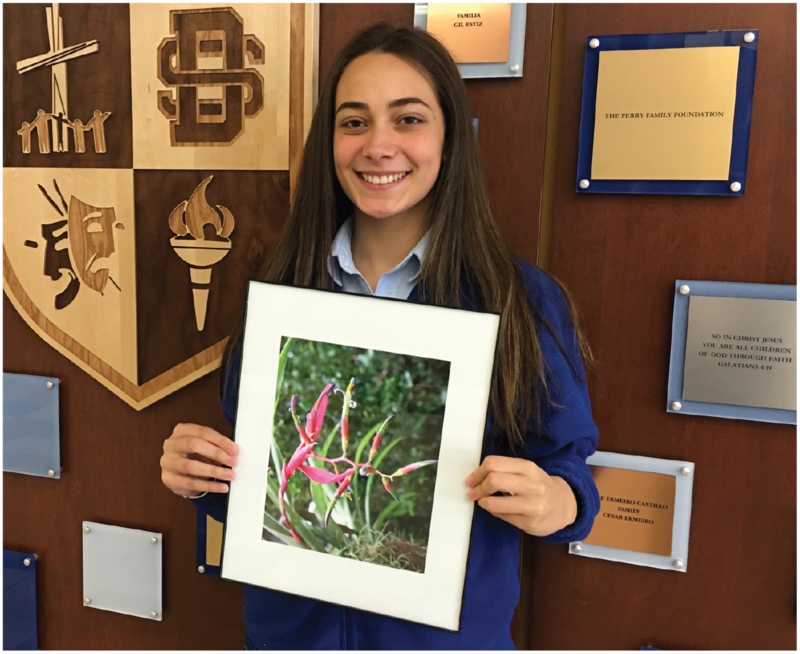 Divine Savior Academy has a growing, thriving fine arts program. Designed to create a well-rounded education for all its students, DSA’s fine arts program also seeks to develop the God-given abilities of each individual student. Music is a focus and strong tradition within our school system and among our faculty. Music classes offer units like world drumming and music theory, while private piano, instrumental, and voice lessons are offered after school. Students can also explore their vocal skills in one of our performance choirs. Visual arts is an ever-expanding program taught in our beautiful art studio. 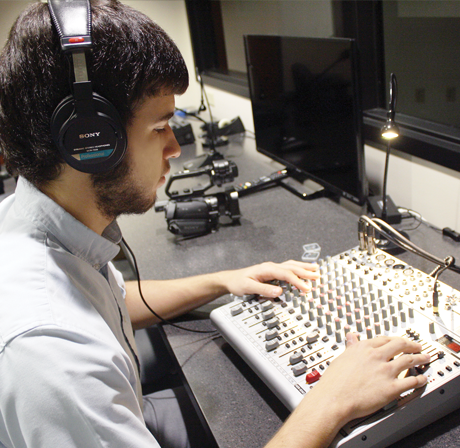 Students take classes that include classical instruction in pottery and painting or modern art instruction in creative photography, video production, and graphic design. 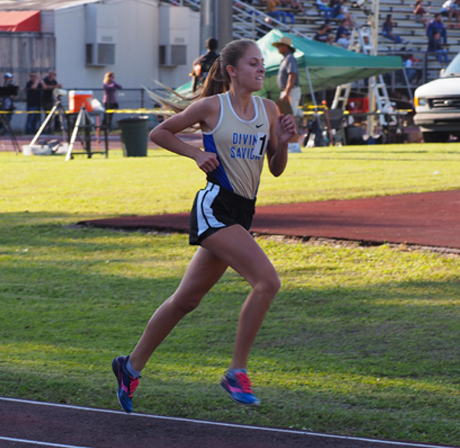 The mission of Divine Savior’s athletic program is to strengthen the talents and abilities of our student-athletes, as well as develop qualities such as teamwork, dedication, sportsmanship, and humility. Divine Savior Academy encourages its students to have healthy lifestyles through physical education classes in our high school curriculum. 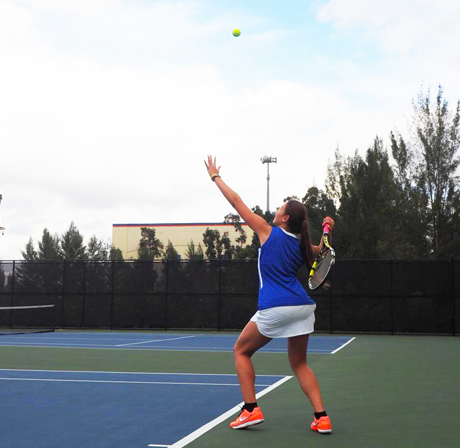 Courses like health, lifetime sports, and weight training teach students the skills they need to be active adults. Divine Savior Academy is a member of the South Florida High School Conference and the Florida High School Athletic Association. Our competitive teams are led by a qualified coaching staff. Trained and experienced in their fields, Divine Savior’s coaches are dedicated to improving athletic skills and developing character traits that extend beyond the field of athletic competition. 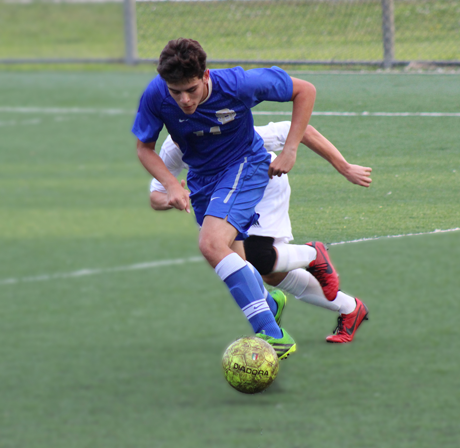 Our expanding sixth to twelfth grade program has high school, junior varsity, and varsity teams that require tryouts and commitment on the part of the student-athlete. Network 58 Online is our website for current campus news and interactive media. The Golden Legacy is our flagship publication, a printed feature magazine published quarterly. Shark News Network is our video production group that produces monthly news updates and other projects around campus. Chroma is our literary magazine, published annually in the spring, which showcases artwork and written compositions from our student body. 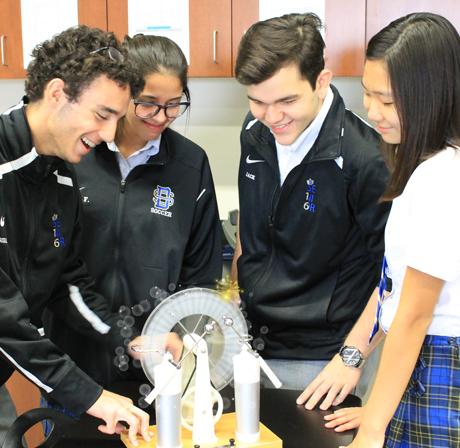 At Divine Savior Academy, students are encouraged to pursue their individual gifts and interests in a variety of opportunities that exist beyond the classroom. 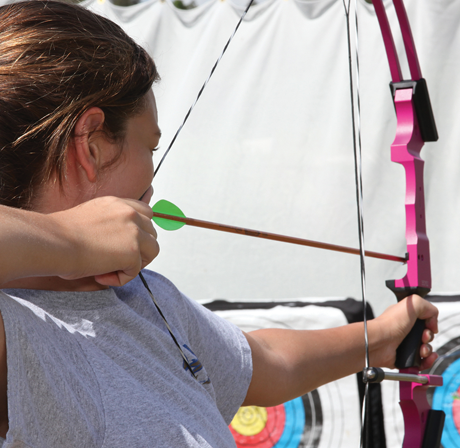 Students develop their educational interests and passions in a wide variety of after-school clubs. Leadership, teamwork, and a service mentality are developed in addition to the enjoyment of pursuing personal interests. Students are encouraged to start new clubs yearly. 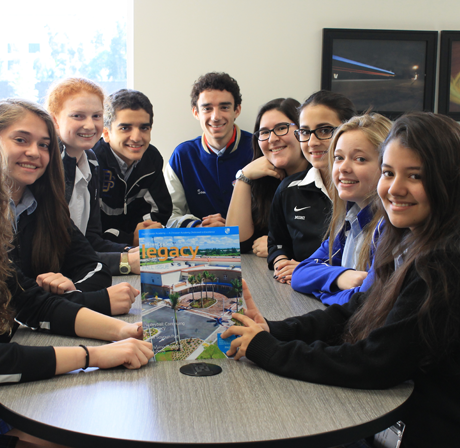 Our growing list of extracurricular clubs includes robotics, drama, teen safety, business, and many more. 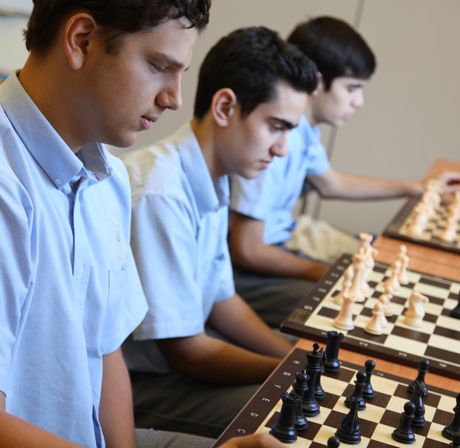 Divine Savior Academy has a nationally-recognized competitive chess team, as well as a chess program for kindergarten to twelfth grade students. Whether students choose to take chess as an elective course or as an after-school activity, they are exposed to the intricacies of chess including skills training, strategic planning, and tournament play under the tutelage of a chess grand master. Past championship highlights include: 2017 U1000 Florida State Champions (K8 and K12), 2015 K12 Super Champions, 2015 K8 U900 Regional Champions, 2013 National U1600 High School Champions, 2012 High School All Star Champions, 2011 National Youth Action East Champions.